Rosa Vilma Santos tugged the hearstring of the Filipino moviegoers via Trudis Litt in 1963, her first movie at age nine that gave her the Famas Best Child Actress award. At that tender age, Vilma was also tapped to star with Gloria Romero and Rita Gomez in the movie Anak, Ang Iyong Ina, thus making her busy with two pictures. It might interest non-Vilmanians to know that little Vilma’s auditions for Trudis Liit was accidental. When she went to the Sampaguita compound with her mother, she was prodded to join the queue of hundred kids for an audition. When her turn came, she acted with premier villainess, Bella Flores. The Sampaguita patriarch, Dr. Jose Perez, was so impressed with Vilma’s performance that the plum role had to fall on Vilma’s lap. That was the start of Vilma’s reign up to the early ‘70s with box-office outings via Lipad, Darna, Dyesebel at and Mahiwagang Kabibe, Kampanerang Kuba, Wonder Vi, Anak ng Aswang, Batya’t Palu-Palo, and many more. These pictures were preceded with the tweezum-craze of the period – Teenage Señorita, Young Lovers, The Sensations, The Young Idols, Sixteen, Love at First Sight, My Pledge of Love and other Vi-Bot (Edgar Mortiz) starrers. Phenomenon – But the early ‘70s saw the emergence of a phenomenon that defied all traditions and stereotypes – Nora Villamayor, the little brown girl from Bicol. Nora Aunor to all of us, practically swept us off our feet and she rose to dizzying heights never before seen in the Philippine cinema. Gifted with a golden voice, Nora is an illustrious alumna of Tawag ng Tanghalan. That was her passport to fame and fortune. Her meteoric ascent to superstardom marked Vilma’s descent to background attraction. Chanteuse Carmen Soriano recommended Nora to Alpha Records. The little brown girl from Bicol broke existing records in the local music industry, which marked the Golden Age of Local Recording. She spawned hits after hits and the airlanes played to the mass in a Nora mania. The next most logical step was to cross borders – to the movies – and this was where the fiercest of competitions began. Dekada ’70, and Mano Po 3. With sch kind of hypnotizing filmography would Vilma accept the backseat – with Nora at the driver’s seat? This is a battleground of cinematic excellence like no other. 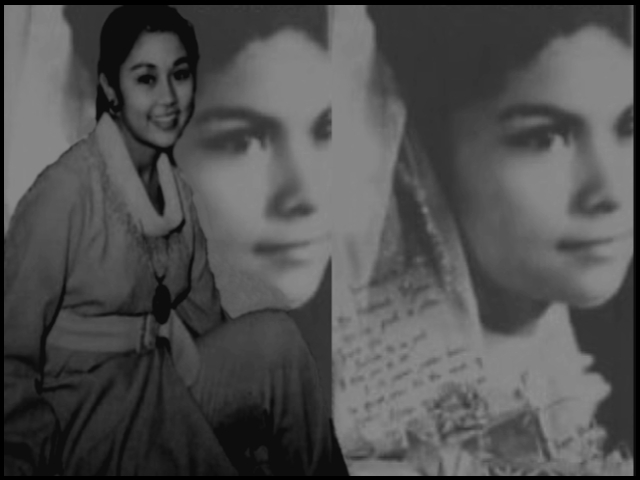 Nora Aunor, Vilma’s tormentor, chumed out classics like Tatlong Taong Walang Diyos, Bona, Andrea, Paano ang Maging Isang Ina, Bilangin ang Bituin Sa Langit, Ang Totoong Buhay ni Pacita M., The Flor Contemplacion Story, (Nora won as Best Actress in the Cairo International Filmfest. ), Bulaklak sa City Jail, Muling Umawit ang Puso, Bakit May Kahapon Pa (another Best Actress for Nora in Malaysia International Filmfest) and of course, Naglalayag, Nora’s starrer which gave her third international Best Actress in Brussels. Lest we forget, Nora Aunor did the Filipinos proud with Bona in Cannes and Himala in Berlin where the actress received Certificates of Honor. With these outstanding accomplishments, couldn’t she claim her place of honor as the “Greatest Filipino Actress” ever? The two icons paired of with the ultimate in Philippine movies – Vilma with FPJ (Fernando Poe Jr.), Nora with Erap (Joseph Estrada) – blockbusters all, but the Vi-FPJ proved the bigger draw. The Match-up – In terms of film output, Vilma has the slight edge with almost 200 movies to her credit since she started her film career as a child actress. Nora is not far behind though with more than 170 films to her credit. Although they understandably seldom make movies now, there was a time in their careers when Nora and Vilma each did 20 movies or so in a year especially in the early ‘70s during the height of popularity of their loveteams with Pip and Bot, respectively. In terms of film awards, the two are almost even. They are both FAMAS Hall of Fame awardees having won Best Actress five times – Vilma for Dama de Noche (1972), Pakawalan Mo Ako (1981), Relasyon (1982), Tagos ng Dugo (1987), and Ibulong Mo Sa Diyos (1988); Nora Tatlong Taong Walang Diyos (1976), Ina Ka ng Anak Mo (1979), Bulaklak Sa City Jail (1984), Bilangin Ang Bituin Sa Langit (1989), and Andrea, Paano Ba Ang Maging Isa Ina (1990). Not counting the awards season this year. Vilma has more Urian Best Actress trophies than Nora, 8-6, and Star Awards for Movies Best Actress tropies, 5-4; Nora and Vilma have the same number of Film Academy of the Philippines (FAP) trophies, 4-4, and Manila Film Festival trophies, one apiece; Nora, meanwhile, has more Metro Manila Film Festival best Actress trophies, 7-4 and international recognition, 3-2. Vilma’s Urian trophies were for Relasyon (1982), Broken Marriage (1983), Sister Stella L. (1984), Pahiram ng Isang Umaga (1989), Ipagpatawad Mo (1991), Dahil Mahal Kita; The Dolzura Cortez Story (1983), Bata, Bata, Paano Ka Ginawa? (1998), and Dekada ’70 (2002). Nora won Urian for Tatlong Taong Walang Diyos, Bona (1980) Bilangin ang Bituin sa Langit, Andrea, Paano Ba Ang Maging Isang Ina, The Flor Contemplacion Story (1995), and Bakit May Kahapon Pa (1996). In the FAP Awards, Vilma won for Relasyon, Dolzura Cortez Story, Bata, Bata, Paano Ka Ginawa?, and Dekada ’70. Nora, on the other hand, won for her performances in Bilangin and Bituin Sa Langit, Andrea, Paano Ba ang Maging Isang Ina, Ang Totoong Buhay ni Pacita M. (1991), and The Flor Contemplacion Story. In Star Awards, Vilma was acknowledged for her roles in Pahiram ng Isang Umaga, The Dolzura Cortez Story, Bata, Bata, Paano Ka Ginawa?, Anak (2000), Dekada ’70 and Mano Po 3 (2005). Nora won for Merika (1984), Andrea, Paano Ba ang Maging Isang Ina, Ang Totoong Buhay ni Pacita M., and Muling Umawit Ang Puso (1995). Vilma was adjudged MMFF Best Actress for Burlesk Queen (1977), Karma (1981(, Imortal (1989), and Mano Po 3: My Love (2204). In Manila Film Festival, Vilma won for Dolzura Cortez Story while Nora won for Naglalayag (2004). Nora boasts three international best actress trophies: Cairo International Film Festival for The Flor Contemplacion Story, Malaysia International Film Festival for Bakit May Kahapon Pa and Brussels International Film Festival for Naglalayag. Likewise, Vilma also has a Best Actress trophy from Brussels International Film Festival for Bata, Bata, Paano Ka Ginawa and another award from CineManila International Film Festival for Dekada ’70. The breakdown of their awards is as of 2004 only and does not include the awards season this year where both Nora and Vilma are frontrunners. We also just mentioned the major award-giving bodies that have television coverage and exclude other award-giving bodies handed out by different critics’ groups. Somehow, this also affected Nora’s box-office record while Vilma continue to attract moviegoers and, in fact, still managed to be crowned as Box-Office Queen in 2001 with the monstrous hit Anak. Where does the parallelism lie in their married life? With Senator Ralph Rector as Vi’s husband and Nora long estranged from Christopher de Leon, it looks like Vilma has got the upper hand. Not that being estranged is a misfortune, but Nora is perceived to have fallen for the wrong men. This entry was posted in ARTICLES and tagged Nora Aunor, philippine movies, Vilma Santos, Vilma Tuazon. Bookmark the permalink.